Your 1-Stop-Shop for Florida "Extra" Entertainment! 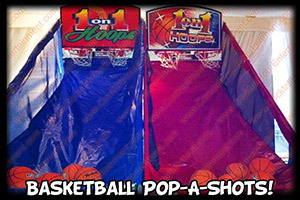 Florida Cocktail Hour Entertainment for Bar Mitzvahs, Bat Mitzvahs, & Social Events! Your families "source" and the Party Planners "resource" for fun! Eric Cutler lives in florida, but he was raised near Philadelphia and he also lived in New York, but Eric Cutler now lives in south florida and performs at bar mitzvahs in dade, broward, and plam beach county florida. As a child Eric had 2 paper routes as a child and had many of his neighbors using him when it was time to get their driveways shoveled in the winter, leaves raked in the fall, and lawns cut in the summer. Eric Cutler saved his money and bought his first pinball machine, The Black Hole by Gottlieb, at the age of 12, which was 1 year before Eric Cutler's own bar mitzvah! At a young age, Eric Cutler was interested in video games and pinball machines like many kids growing up in the 80's, but he experimented with machines and fortunately didn't get electrocuted too bad (lol). Eric Cutler purchased his first 35mm Nikon camera in his teens and took photography classes in high school and some of his photos were used in his high school year book. Eric Cutler worked for years as a Motivational Dancer, MC, and DJ for Hart 2 Hart Entertainment in florida, which was was one of the top Entertainment companies in NY and Florida. He was often teased for being one of the guys that was into his job way too much, but Eric Cutler never had a job before where looked forward to going to work! As a Jewish owned and operated Florida company we understand the significance of your special day. Eric Cutler's company specializes in Game Rentals, Photo Novelties, and Keepsakes for Bar Mitzvahs, Bat Mitzvahs, and Corporate Events. Cocktail Hour Entertainment is in florida and can be booked just for cocktail hour entertainment or for your entire party. We are hired by Families, Event Planners, DMCs, and other event professionals seeking quality & reliable "Extra" Entertainment. When planning your cocktail hour entertainment you should create an atmosphere that is exciting for both kids and adults. Whether it's a Bar Mitzvah, Bat Mitzvah, or Corporate Event, It is the "Extras" that make your party more unique and fun. 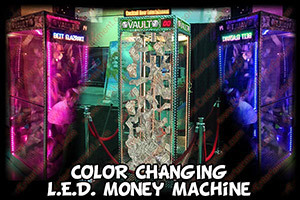 You can incorporate ideas that match your theme or your Bar Mitzvah or Bat Mitzvah child's interests. During the first hour of your party, it's the cocktail hour entertainment that sets the tone for the rest of your party. If your guests have fun with your initial cocktail hour entertainment then you have succeeded in setting the mood for the rest of your party. Let Cocktail Hour Entertainment make that happen for you! Photos of Eric Cutler can be found here. Eric Cutler is an owner who takes passion in his profession and Eric Cutler is always looking for the latest and greatest in south florida to better serve the florida jewish community. Eric Cutler and his staff take great pride in providing the very best that Florida has to offer for extra entertainment. Eric Cutler can assist any family with their upcoming bar mitzvah or corporate event. Call Eric Cutler and Cocktail Hour Entertainment and find out why hundreds of families, party planners, caterers, and DJs every year trust Eric Cutler and Cocktail Hour Entertainment with their customers in florida. THE ERIC CUTLER STORY: How did Eric Cutler get into this industry in florida? Eric Cutler lives in Florida, but he was raised in Bensalem, Pa. and Eric was raised as a conservative jew and primarily went to hebrew school at a conservative temple but then apx. 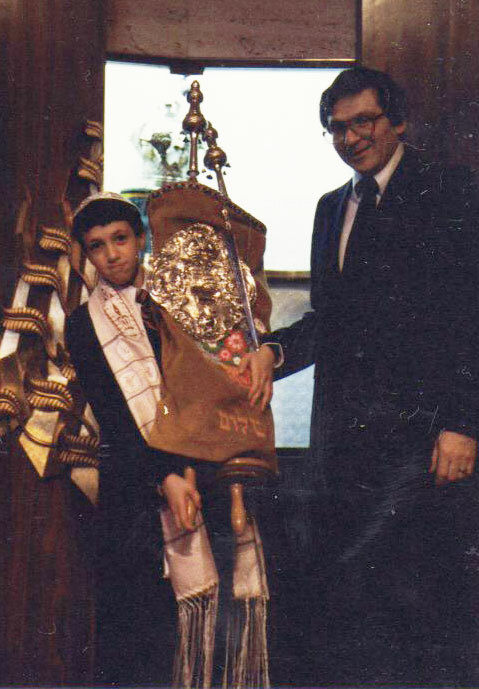 2 years before Eric Cutler had his bar mitzvah his family switched synagogues and Eric Cutler finished hebrew school at a reform temple. Scholastically the switch was easy for Eric Cutler b/c he had already learned cursive hebrew in his original synagogue, but in Eric Cutler's new temple they were just starting to learn cursive hebrew and other things so it was fun to have that advantage in hebrew class. Eric Cutler's parents got divorced before his own Bar Mitzvah and like many kids Eric Cutler spent some time living with his mother in Philadelphia and some time living with his father who remarried and moved to Upper Dublin, Pa.
Eric Cutler was raised and practiced Judaism which helped him understand exactly what many of his clients and their children are going through for their upcoming bar mitzvahs and bat mitzvahs so Eric Cutler is better able to serve his clients. As a child Eric Cutler was very ambitious to work and buy things for himself that his parents wouldn't so he had many jobs. Eric Cutler had 2 paper routes and Eric had many local neighbors waiting on him for their lawns to be cut, leaves to be raked, and driveways to be shoveled. Eric Cutler enjoyed sledding more than most kids his age b/c he usually went sledding after he had already made as much as $100 shoveling driveways (which was a lot for an 11 year old in the 80's). So when he went sledding he already felt the satisfaction of playing AFTER he had worked which taught him this discipline as an adult which unfortunately many people lack today. At the age of 12 Eric Cutler bought his first pinball machine, The Black Hole by Gottlieb, which was 1 year before Eric Cutler's own bar mitzvah which was in pennsylvania, not florida. The story of how he bought it is kind of interesting b/c he asked his dad if he could get a real pinball machine to replace the toy one he had gotten for his birthday from Kiddie City (like Toys R Us). Eric Cutler's dad jokingly said, "sure, if you spend you own money," but his dad thought that would never happen. Eric Cutler didn't have to wait that long since it snowed a few times and combined with his paper route money he bought his first pinball machine from the local arcade at the mall for less then $500. 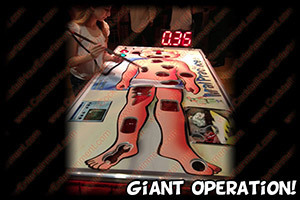 Eric Cutler arranged the delivery of the pinball machine to his home during after school hours. When his dad came home from work and saw the pinball machine in his room he couldn't get mad b/c Eric Cutler reminded his dad that he said it was ok if he spent his own money. Owning a pinball machine at such a young age gave Eric Cutler an insight into arcade games an electronics b/c he not only played the game, but experimented with the machine and it's internal parts. This skill would help when he moved to florida. He started doing the same thing with video games as well which would also help him when he moved to florida. Eric Cutler purchased his first 35mm Nikon camera in his teens and took photography classes in high school. This was before digital photography when we used film and chemicals to work in a dark room to develop the photos. Some of Eric Cutler's photos were used in his high school year book and he enjoyed taking pictures. Eric also purchased a Cannon, Minolta, and a Ricoh camera as well. For a period photography became his new passion. 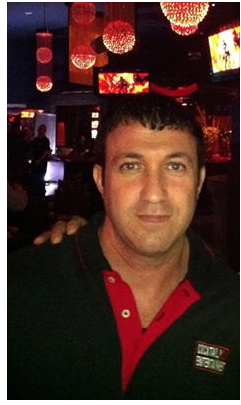 Eric Cutler was an avid roller skater in philadelphia and loved going roller skating in middle school. He enjoyed learning new tricks like skating backwards, hockey stops, 360's, knee drops, wall sliding, and many others. Eric Cutler always enjoyed taking things a little further then most b/c he was a passionate person who believed if you are going to do something then do it great! As he got older he switched from skating to dancing and Eric Cutler became very interested in learning all the latest hip hop and house music dances moves. Eric Cutler danced on Dance Party USA, Club MTV at the palladium in NYC, and was the choreographer for the rap group MVP (Most Valuable Poets). When Eric Cutler first moved to Florida he was ahead of most of the florida dancers b/c he was up to date on all of NYs latest dances which hadn't made their way to florida. Eric Cutler went to college in Connecticut to study marine biology and oceanography, but at the age of 20, Eric Cutler moved to Florida to continue his college education studying Ocean Engineering, but he always had a lingering fear that he would end up stuck in a boring 9-5 job with a boring career in florida. 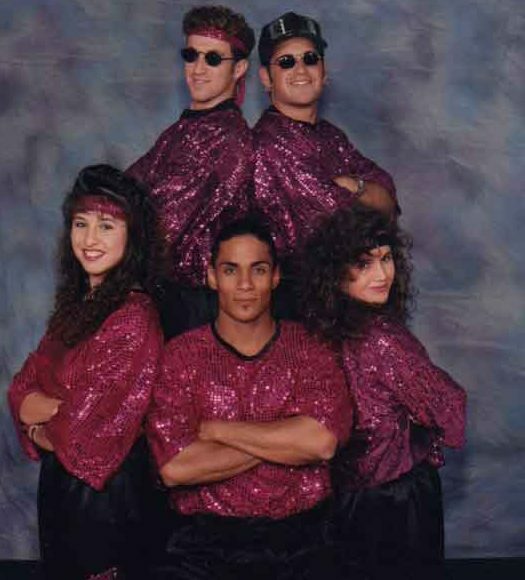 Before graduating college, Eric Cutler starting working part-time as a motivational dancer on Florida Bar Mitzvahs and Florida Corporate Events. Eric couldn't believe he was "getting paid to party" and he fell in love with the entertainment side of the florida special events industry. He worked for years as a Motivational Dancer, MC, and occasionally filled in as a DJ for Hart 2 Hart Entertainment, which was was one of the top Entertainment companies in NY and Florida. Being jewish didn't hurt considering how many Bar Mitzvah and Bat Mitzvah parties they did which got him requested on many florida parties. Eric was often teased for being the guy that was into his job way too much, but Eric Cutler never had a job before that was so fun he looked forward to going to work! After a few years the company went through some changes and Eric Cutler took an office position job running the florida office for Hart to Hart which provided Eric Cutler with invaluable experience for running an entertainment company from the business side. All of the hobbies listed above were a lot of fun for Eric Cutler and they all turned out to be different attributes that helped groom him to be successful in the entertainment industry in south florida. 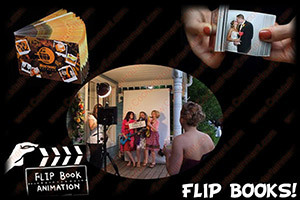 If you want experience and quality for your event at a competitive price then you should definitely call Eric Cutler and Florida's Cocktail Hour Entertainment for your affair b/c they have a better understanding of what your party needs and they will ensure the many different aspects involved for a successful florida event work together. If you are interested in having a successful, stress-free event call Eric Cutler and Cocktail Hour Entertainment in south florida and we guarantee you'll be glad you did! Florida Cocktail Hour Entertainment services that produce personalized gifts for your guests to take home are considered Keepsakes. Some examples are Photo Favors, Dog Tags, Green Screen Photos, I.D. Cards, or Airbrush Favors. 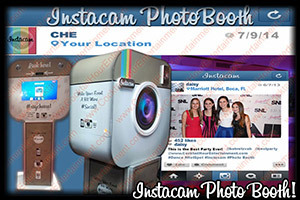 We are #1 for Florida Bar Mitzvah Cocktail Hour Photo Favors! 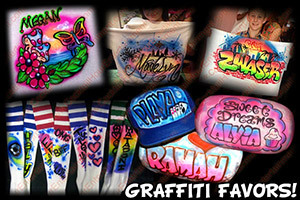 CLICK ON THE "SPECIALS" BUTTON ABOVE FOR OUR LATEST BAR MITZVAH & BAT MITZVAH KEEPSAKE SPECIALS. Florida Cocktail Hour Entertainment options designed to engage your guests and keep them busy are considered activities. 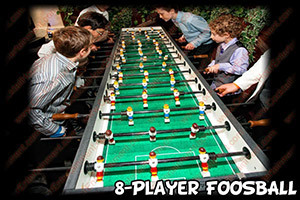 Activities are used to keep your guests entertained during cocktail hour. They can also be provided as an alternative form of entertainment during the main party if your guests need a break from the dance floor or if you have some shy kids that don't want to dance. 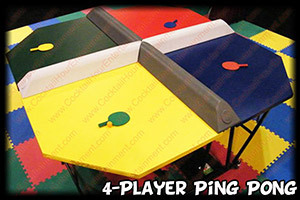 Some examples are Air Hockey Tables, Casino Tables, Basketball Pop-A-Shot, Foosball, and Video Games. 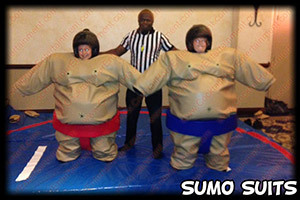 CLICK ON THE "SPECIALS" BUTTON ABOVE FOR OUR LATEST BAR MITZVAH & BAT MITZVAH ACTIVITIES SPECIALS. Most florida parties are 4-5 hours long and break into the 2 parts, the Cocktail Hour & the Main Reception. The Cocktail Hour is the first hour of your party. There is often light food & drinks, but nothing to really keep your florida guests entertained. The DJ or Band usually plays background music and if your Cocktail Hour is in a separate room there is no dancing. Most people book at least 1 type of keepsake (Ex. 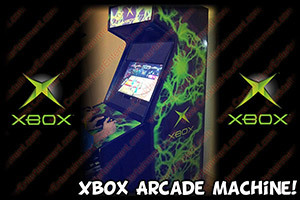 Green Screen Photos) and a few games (Ex. Air Hockey Table) for Cocktail Hour to keep the kids busy. Florida Keepsake(s) are often booked for the whole party b/c they don't interfere with the DJ, guests go over and take a photo and then go back to the party. Florida Games are usually booked just for the cocktail hour, and then it is the DJs job to entertain the kids for the rest of the party. One exception is a 'kids-only' party, we recommend keeping the games for the whole party as an alternative form of entertainment if the kids don't want to dance. 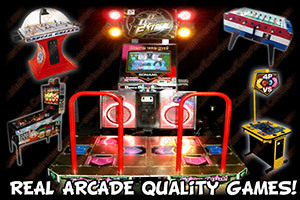 We understand the DJs job can be tough for some groups of kids so if the games are booked the entire party we are happy to close them down at important times for the DJ like the Grand Entrance or a kids game. We are fully Licensed & Insured in florida. No florida party is too big or small! We do our best to match florida competitor quotes. We know your florida guests are our future business! We invest in professional equipment & attractive displays to make your florida party look its best! We constantly search for exciting new options to give your florida party the latest and greatest! If a company wont spend a lot of time with you on the phone BEFORE you book them, then expect them to spend less time with you AFTER you book them. These companies focus more on quantity than quality. Florida does not regulate this industry so do your homework! One-Stop shopping is a quick fix, but convenience shouldn't supercede quality! Don't hope for the best...do your homework and you'll get a better party! 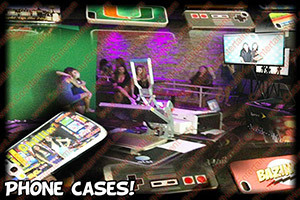 Many clients call us for their 2nd parties in south florida telling us they wished they followed this one! Some florida Caterer's and florida Event Planners recommend companies solely b/c of a personal or financial relationship with that company so the next time someone says "they're the best," do a little homework and decide for which florida vendors are right for you! Educated consumers are our best customers! Get everything in writing! The Special Events industry is not a regulated industry overseen by any governmental agencies so you need to protect yourself when hiring entertainment in florida. 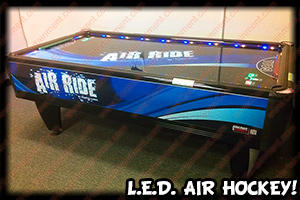 For example, a company can show you a picture of an arcade quality Air Hockey Table with a great price, but if they set up a 3' Air Hockey Table from "Toys R Us" there is nothing you can do about it if your contract just lists an "Air Hockey Table". Click Here For Examples. If in doubt, make them include the make & model number in your contract, and have them guarantee it in writing or your money back. If a company offers a particular service verify they own the equipment by asking some detailed questions to confirm they know what they're talking about. For Example, if you call a DJ company and they offer Photo Favors then you should be able to ask that florida sales person detailed questions like, "What type of printer do you use?" and "How fast does that printer produce 4x6 photos?" If the person answering the phone doesn't know the answers to those types of questions then your talking to the wrong person...and the wrong company. Higher Prices doesn't mean Higher Quality! Many florida companies just hire other companies and add on an additional profit for themselves. Why not hire us directly? Give us a call and we'll help make sure you are paying a fair price even if your not hiring us! 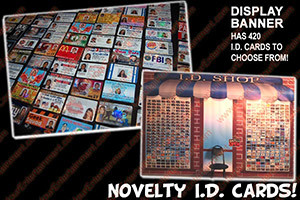 Many florida DJ Companies that offer novelty services work from a Rolodex and stamp their name on many of their options. (Along with a higher price and an inconsistent product!) Don't expect them to Admit it! Do your homework! Answer: Yes, we save the photos taken at every florida party and upon request we will email you a link to download them directly to your computer. 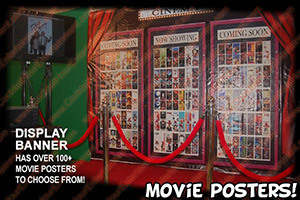 Answer: Yes, most of our game rental packages include at least 1 florida game attendant. Our attendants watch and maintain the games (provide spare ping pong balls, foosballs, air hockey pucks, etc...) and they make sure the kids take turns and behave appropriately. They can also wear referee shirts upon request. Answer: Yes, most florida parties start in the cocktail hour room for the first hour, and then we move our equipment into the main party room. There is no charge for this. This happens at about 90% of our BAR MITZVAH & BAT MITZVAH parties. Our quality & selection is unrivaled and we are competitively priced! We use the best commercial-grade equipment available in south florida and in our industry. No one in florida has better equipment than us...no one! Our passion is our profession and our quality and selection proves this! Call us and we'll prove it! We want to WOW your guests! It's a lot of work to put together the quality and selection we offer all of south florida, but we think your party is worth it! If you see another florida company with similar games they most likely copied us! We are in this business to be the best, not just to make a profit! We focus on the product before the profit! We use the same computer software you see vendors using at Florida's Disney World versus the cheap $99. green screen programs most florida companies use. "I personally guarantee Cocktail Hour Entertainment will provide the best entertainment available in florida." Florida Cocktail Hour Entertainment provides cocktail hour entertainment services for the cocktail hour at your Florida Bar Mitzvah, Bat Mitzvah, Corporate Event, Wedding, Sweet 16, Quince, or other Special Events. Our services are available for just 1 hour or for the entire party. We are florida's number#1 choice for "extra" entertainment. if you are planning an event in south florida and you want the best entertainment anywhere in florida you have come to the right place...Florida's Cocktail Hour Entertainment. 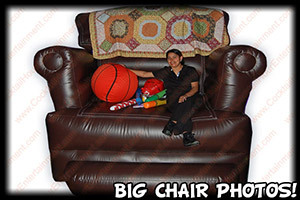 We provide florida families with all types of services including photo booths, green screen photos, arcade and sport game rentals. We can provide these services anywhere in south florida, whether its boca raton-florida, weston-florida, miami-florida, coral springs-florida, aventura-florida, jupiter-florida or anywhere else! If you have an event in South Florida then call Cocktail Hour Entertainment for your Bar Mitzvah, Bat Mitzvah, or Corporate Event. 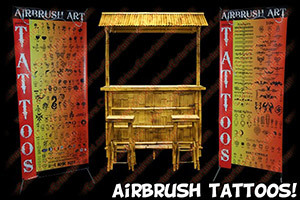 We provide florida with the following servies; Florida Airbrush Party Favors (AirBrush Shirts, AirBrush Pillows, Florida AirBrush Boxers, Florida AirBrush Hats, etc....), Florida Arcade Games, Florida Arcade Machines, Florida AirBrush Tattoo Artists, Florida Air Hockey Tables, Florida Baseball Speed Pitch, Florida Basketball Pop-A-Shot, Florida Bead Factory, Florida Black Jack Tables, Florida Bling Station, Florida Bubble Hockey, Florida Bubble Soccer, Florida Caricaturist, Florida Digital Caricaturist, Florida Carnival Games, Florida Casino Tables, Florida Circus, Florida Claw Machine, Florida Cotton Candy, Floride Craps Table, Florida DDR Dance Dance Revolution, Florida Dance Heads (Boogie Bodies/ Pop Noggins), Florida Dog Tags, Florida Photo Dog Tags, Florida Fantasy/Fake I.D. 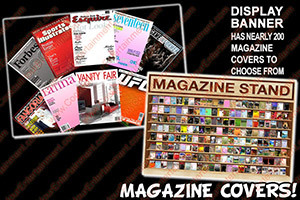 Cards, Florida Feather Extensions, Florida Flip Books, Florida Foosball, Florida Foam Dance Pit, Florida Football Toss, Florida Fun Foods, Florida Giant Board Games, Florida Giant Operation, Florida Giant Twister, Florida Glitter Tattoos, Florida Golf Challenge, Florida Graffiti, Florida Green Screen Photos, Florida Guitar Hero, Florida Gyroscope, Florida Hair Feathers, Florida Hair Tinsel, Florida Hollywood Photos (Florida Red Carpet Photos), Florida Hose Hockey, Florida Jukebox Rental, Florida Magazine Covers, Florida Money Machine, Florida Movie Posters, Florida Multicade, Florida Pinball Machines, Florida Phone Cases, Florida Photo Booths, Florida Photo Favors (Florida Photo Novelties & Florida Green Screen), Florida Photo Keychains, Florida Ping Pong & Ping Pong Table (4-Player), Florida Poker Tables, Florida Pool Table, Florida Popcorn Machine, Florida Prize Wheel, Florida Pucker Powder (Sandy Candy), Florida Rice Jewelry, Florida Rock Band, Florida Rope Ladder Climb, Florida Roulette Wheel, Florida Skill Crane, Florida Sky Dancer, Florida Slot Car Racing, Florida Slotless Car Racing (Microreality), Florida Soft Pretzels, Florida Sno Kones, Florida Sport Games, Florida Sublimation Favors, Florida Surfboard Simulator (RoboSurfer), Florida Sumo Suits, Florida Tattoos, Florida Velcro Wall, Florida Video Game Systems, Florida Wax Hands, Florida Xbox Arcade, and much more!